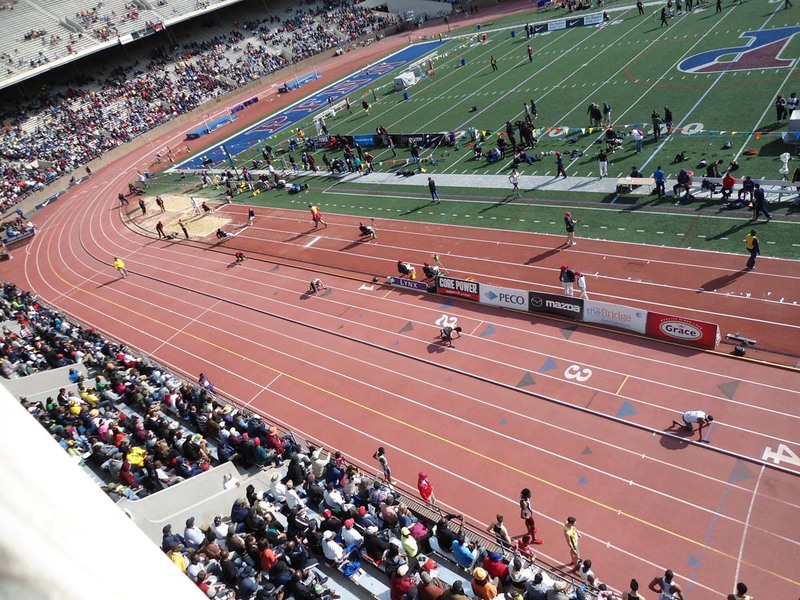 The 121st running of the Penn Relays starts Thursday in Philadelphia. 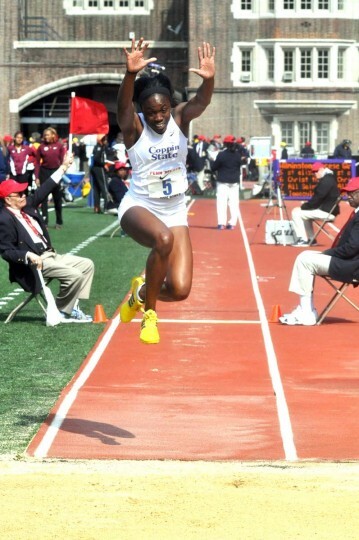 2014 caption: Coppin State track athlete Christina Epps competes at the 2014 Penn Relays. 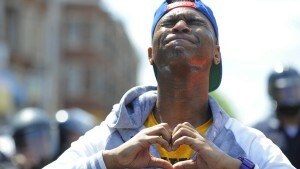 Photo courtesy of Coppin State athletics. 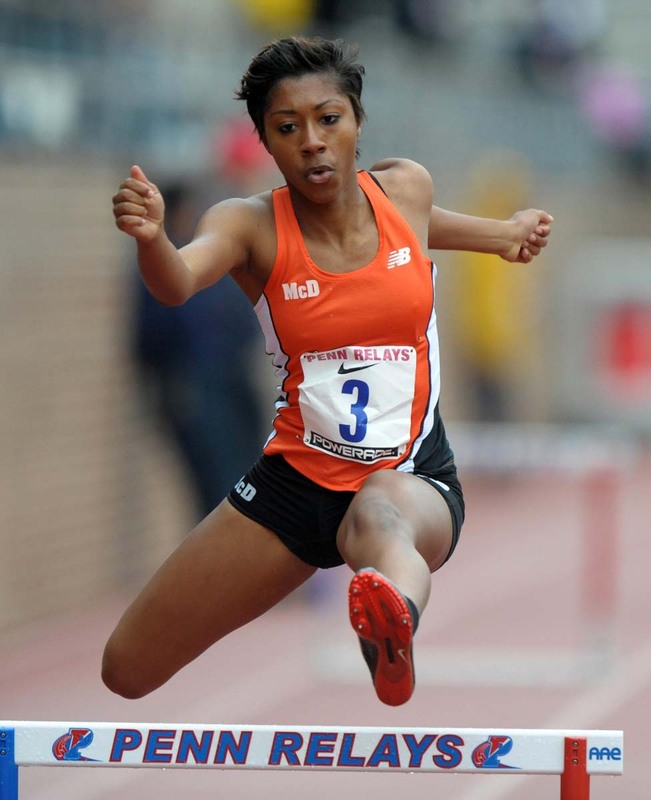 2012 caption: Autumn Franklin of McDonogh School (Md.) places third in the girls 400m hurdles in 59.94 in the 118th Penn Relays at Franklin Field. 2012 caption: Diamond Thomas takes the handoff from Traci Hicks on the third leg of the Long Beach Poly girls 4 x 100m relay that had the top time of 46.39 in the 118th Penn Relays at Franklin Field. 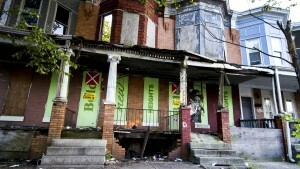 2012 caption: Philadelphia, PA, USA; Alexis Franklin of Old Mill (Md.) 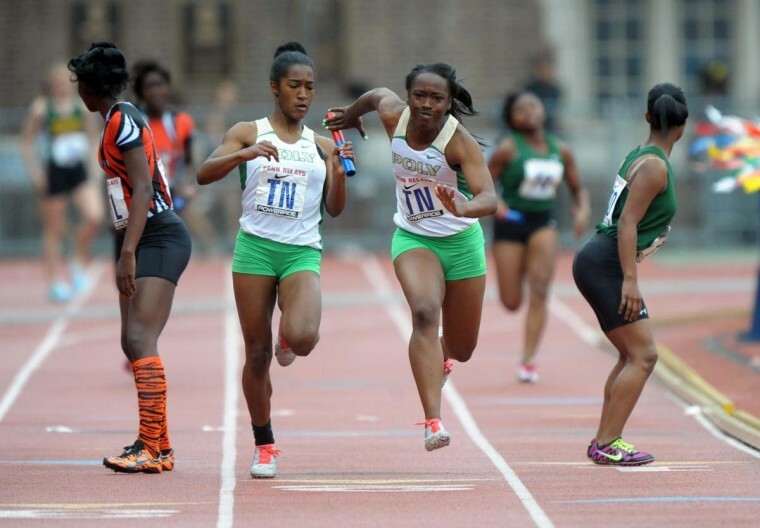 wins the girls 400m hurdles in 59.05 in the 118th Penn Relays at Franklin Field. 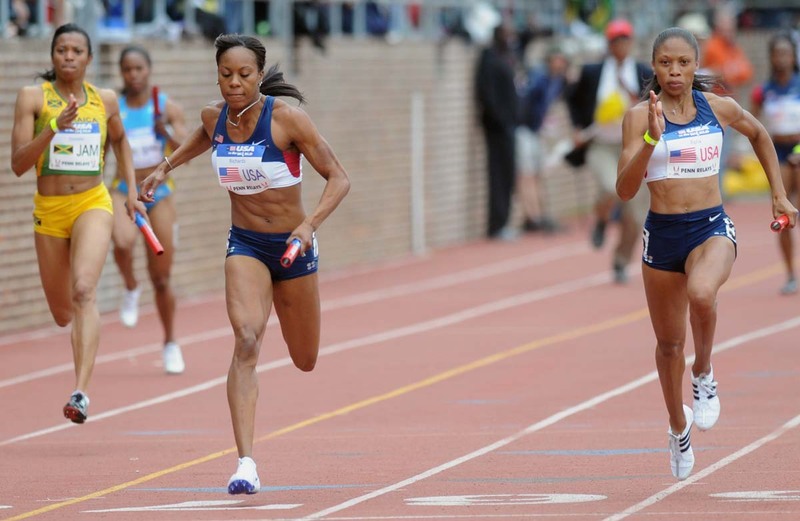 2008 caption: Allyson Felix, right, edges out Sanya Richards, left, both of the United States, in the Olympic development women’s 400 meters USA vs. the World race at the Penn Relays track and field meet in Philadelphia, Saturday, April 26, 2008. 2010 caption: Competitors warm up in the paddock as they prepare to run in the Penn Relays athletics meet in Philadelphia, Friday, April 23, 2010. 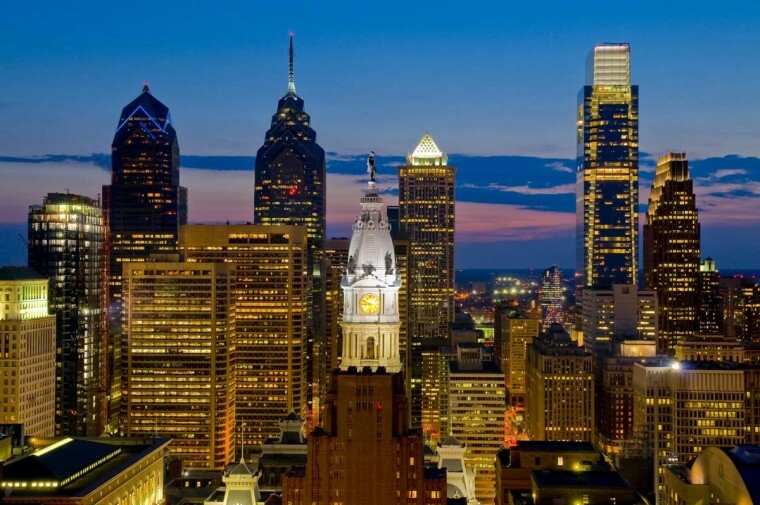 A downtown skyline view of Philadelphia, the annual host of the event. 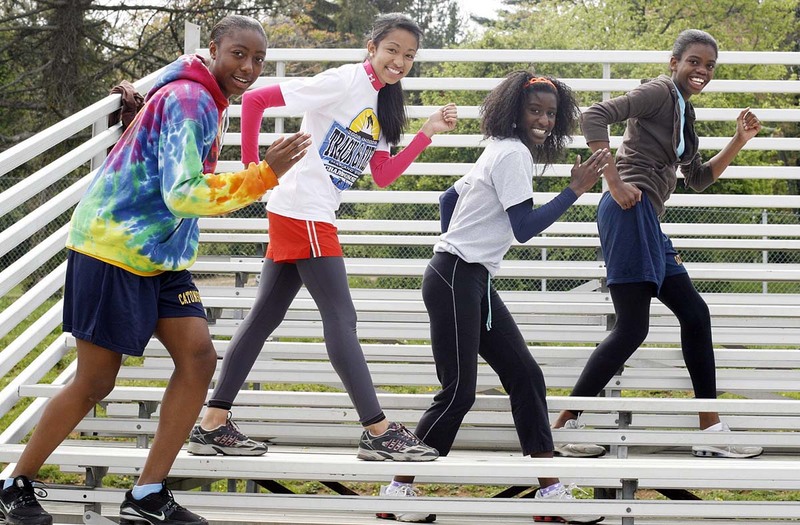 2008 caption: Catonsville High’s 4X400 relay team (L-R) Kellie Christian, Maya Torain, Xauddina Whittington and Naomy Ramos. The group had the fastest relay time of those competing from Maryland in the April 21st, Penn Relays at the University of Pennsylvania in Philadelphia. 2008 caption: Tasha Stanley, from Eleanor Roosevelt high school, is comforted by actor and comedian Bill Cosby after she competed in the high school girl’s 4×800 championship at the Penn Relays in Philadelphia, Friday, April 25, 2008. 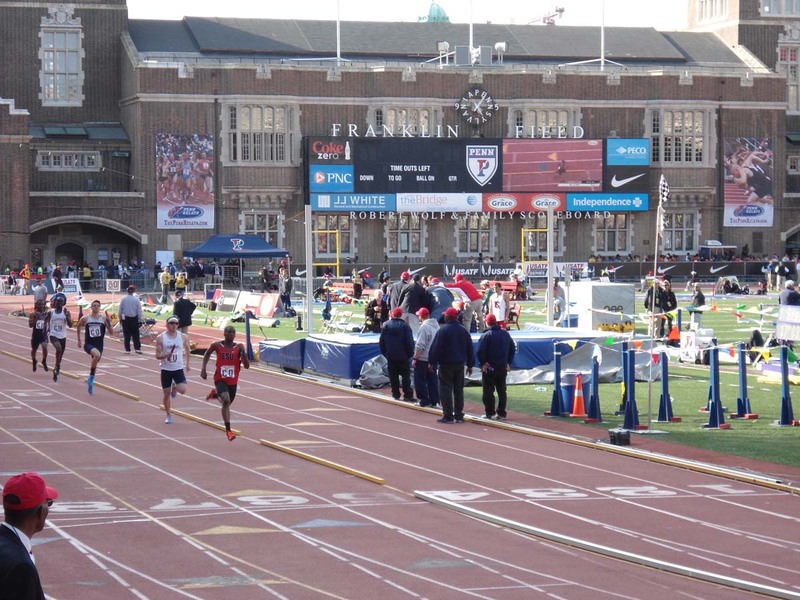 2007 caption: At the prestigious Penn Relays, Broadneck High school’s Matt Centrowitz ran the best time for a high school runner in 35 years finishing the mile in 4 minutes, 8.38 seconds. 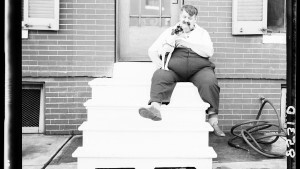 After running the anchor leg securing his team’s victory in a 3200 meter relay, Centrowitz watches a hurdles event at an Old Mill invitational. 2006 caption: Maryland’s Kierra Foster, who placed first, competes in the college women’s long jump championship during the 112th Penn Relays, Thursday, April 27, 2006, in Philadelphia. 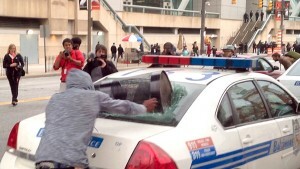 She is part of 20,000 athletes participating in the Penn Relays, which began Thursday at Franklin Field. 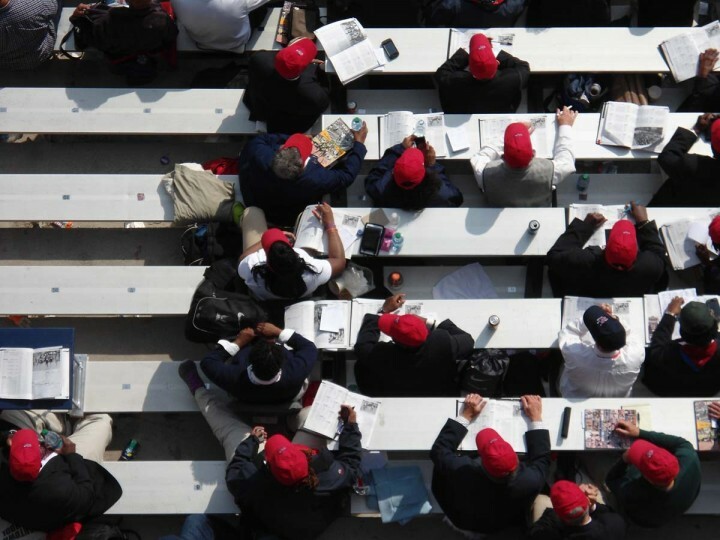 Every April, the Ivy League school’s quiet campus hosts small colleges, NCAA champions and Olympians for three days in the sport’s oldest relay event. 2005 caption: COLUMBIA, MD — Sports feature on Long Reach High School runner JaNay Woolridge, who will be competing in the up-coming Penn Relays on Thursday. 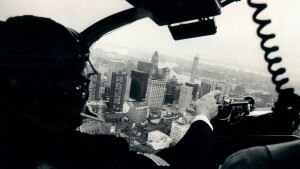 Woolridge has committed to attend University of Missouri, where she received athletic and academic scholarships. 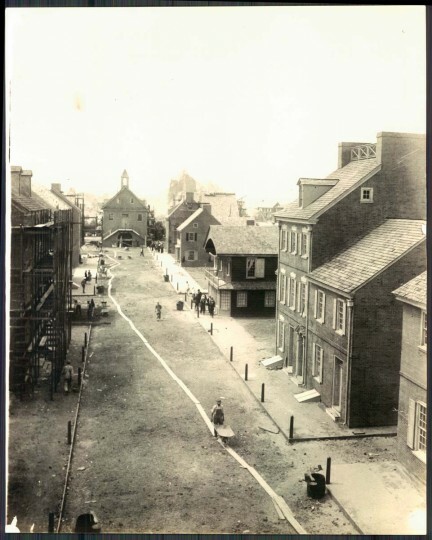 She is pictured during practice. The campus of The University of Pennsylvania has been host to the Penn Relays since the 1800s. 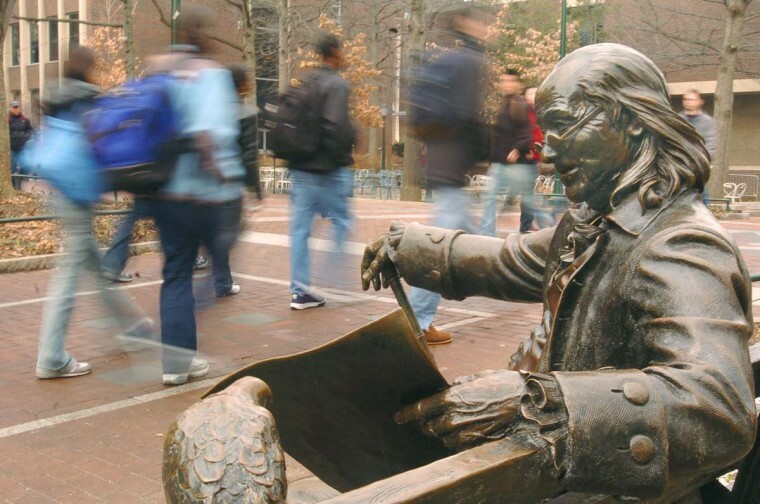 In 2005, The Sun ran a story on campus security at elite institutions, for which this photo was taken. 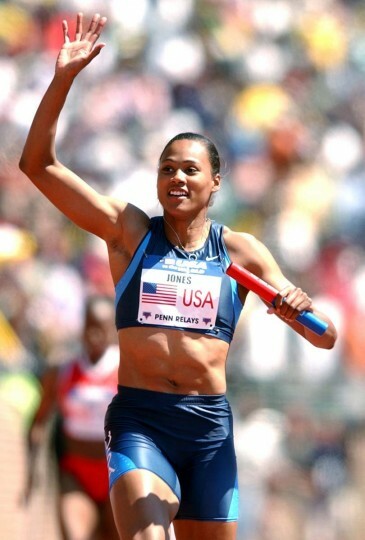 2004 caption: Olympian Marion Jones waves after anchoring the Olympic development 400-meter relay at the Penn Relays on Saturday, April 24, 2004, in Philadelphia. Jones, Angela Daigle, Chryste Gaines and Inger Miller won the race with a time of 42.63 seconds. 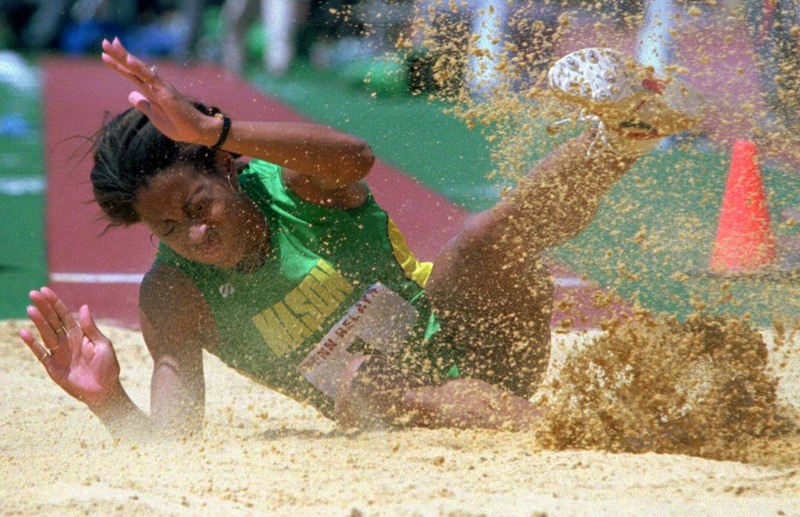 1995 caption: Diane Guthrie-Gresham of George Mason lands in the sand during Women’s College long jump championship at the Penn Relays Thursday, April 27,1995, in Philadelphia. Guthrie-Gresham, who won the heptathlon on Wednesday, won the long jump championship. 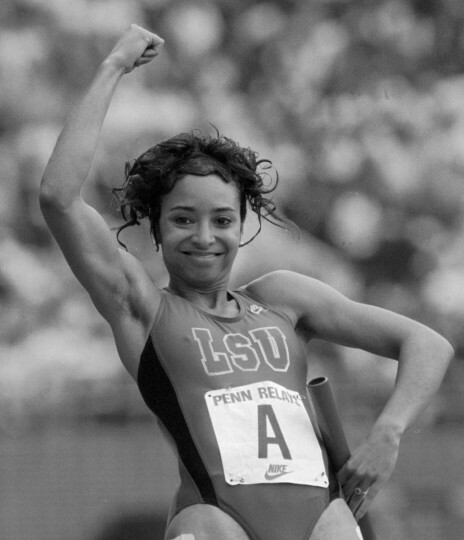 1994 caption: Louisiana State runner Cheryl Taplin celebrates after anchoring her team to a new American record in the womens 4 X 200 meter relay at the Penn relays in Philadelphia, Saturday, April 30, 1994. Taplin also won the women’s 100-meter dash for the second year in a row. 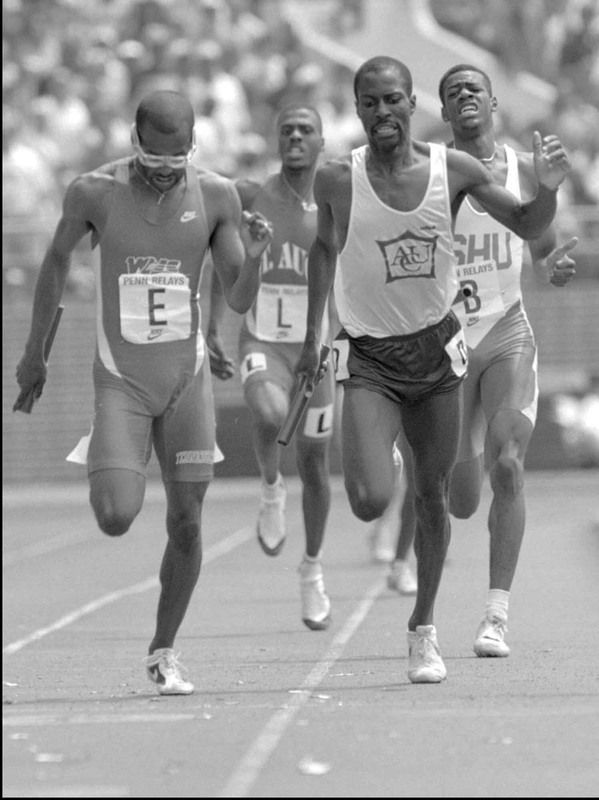 1994 caption: Tennessee’s Jose Parrilla, left, just beats Abilene Christian University’s Joseph Tangelei at the finish line of the College Mens Sprint Medley Relay at the Penn Relays Saturday April 30, 1994, in Philadelphia. 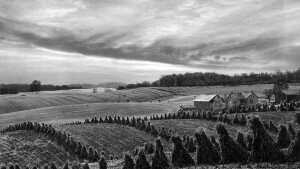 Tennessee won with a time of 3.13.28. 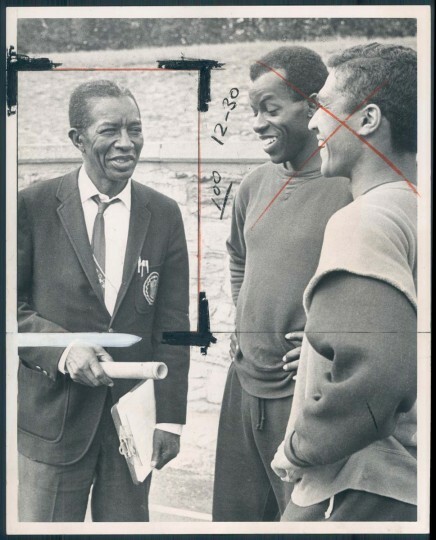 1968 caption: Morgan State track coach ED Hurt discusses team’s chances in this week’s Penn Relays with Bear stars Hartley Saunders and Ronald Barbosa. 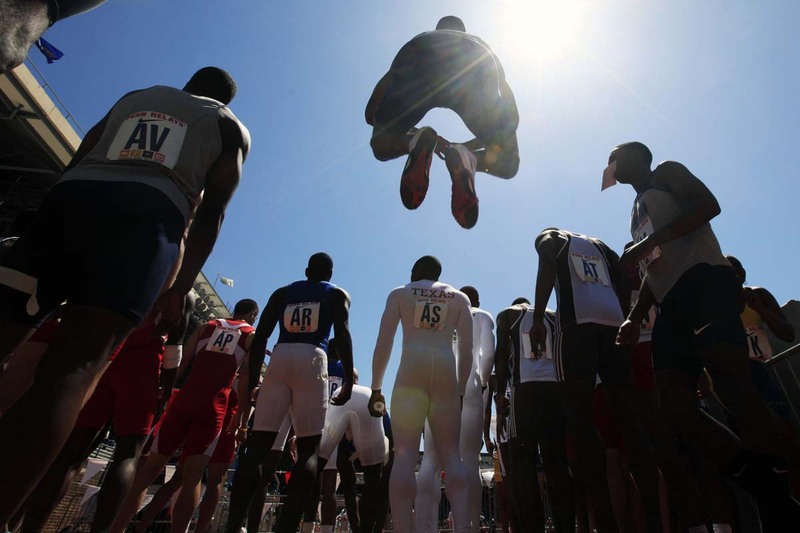 Saunders is defending triple jump champ, Barbosa will run on relay. 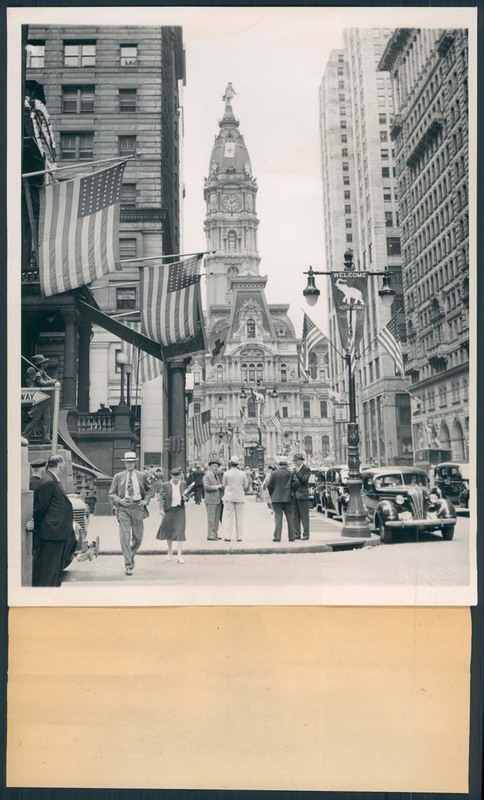 Philadelphia hosts more than track meets. Here, the city gets ready for the GOP convention in 1940. 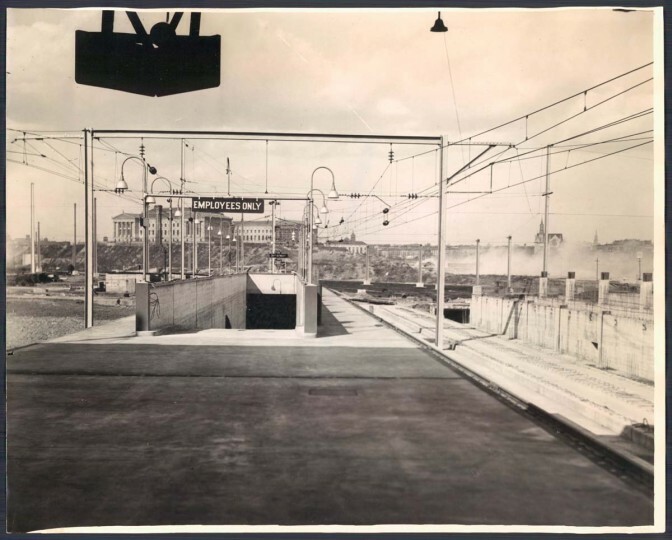 This uncredited handout photo from the Baltimore Sun archives shows a view of the platform at 30th Street Station, a few blocks north of Penn Relays venue Franklin Field. Franklin Field, while still a large venue, once boasted a capacity roughly 30,000 higher than its current limit. 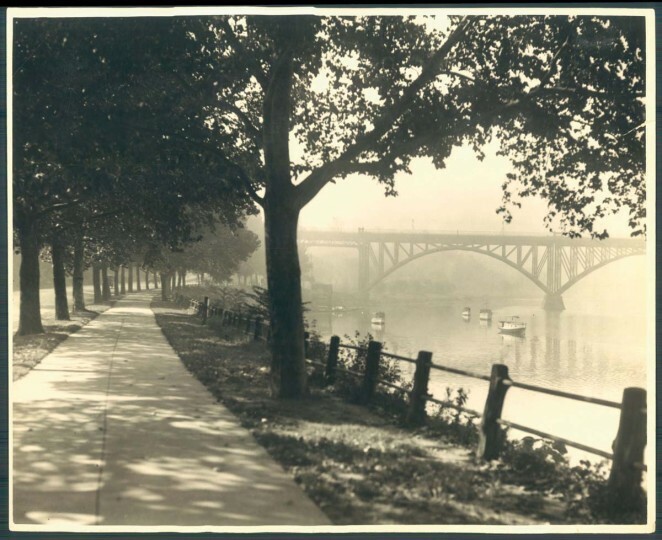 Nearly a century after this photo was taken, a path still traces the river upstream from the Penn Relays venue at Franklin Field. 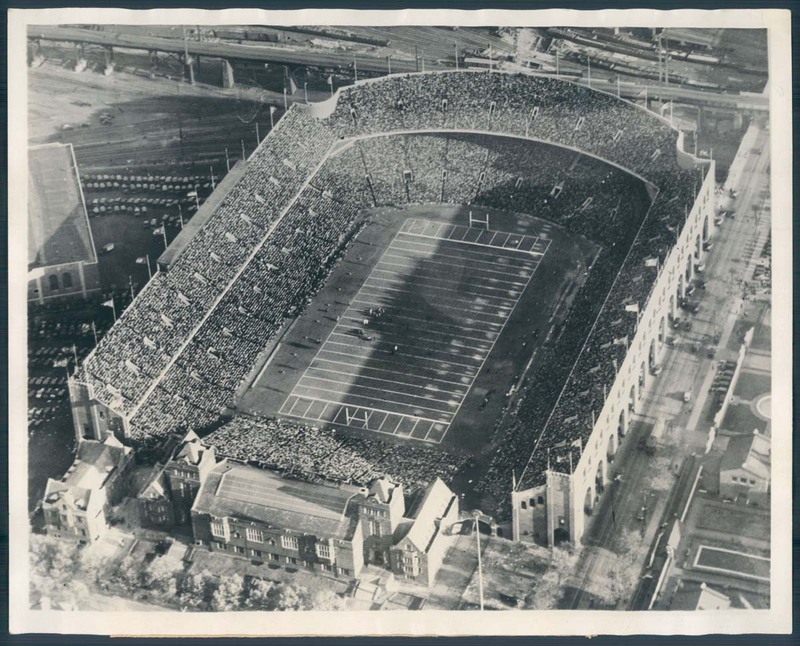 A 1908 game between the Naval Academy football team and the Army team, held at Franklin Field. The Penn Relays would have been using the venue annually for just over a decade at the time this Library of Congress photo was taken.